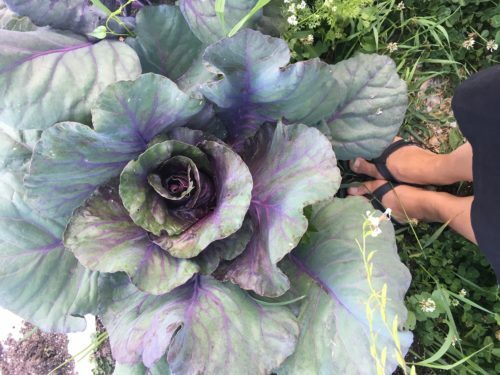 Growing a food garden is very rewarding. To make it successful it helps to have a plan! 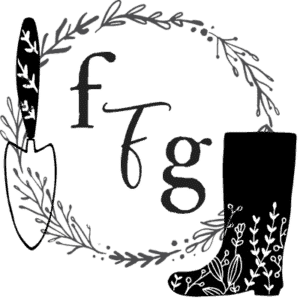 Is your goal to grow a food garden? This vegetable garden planting guide asks you many questions to help you figure out important garden planning information. 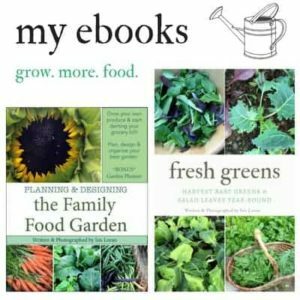 The goal is to help you figure out what you should grow by what you currently spend on produce and what you can grow in your area. 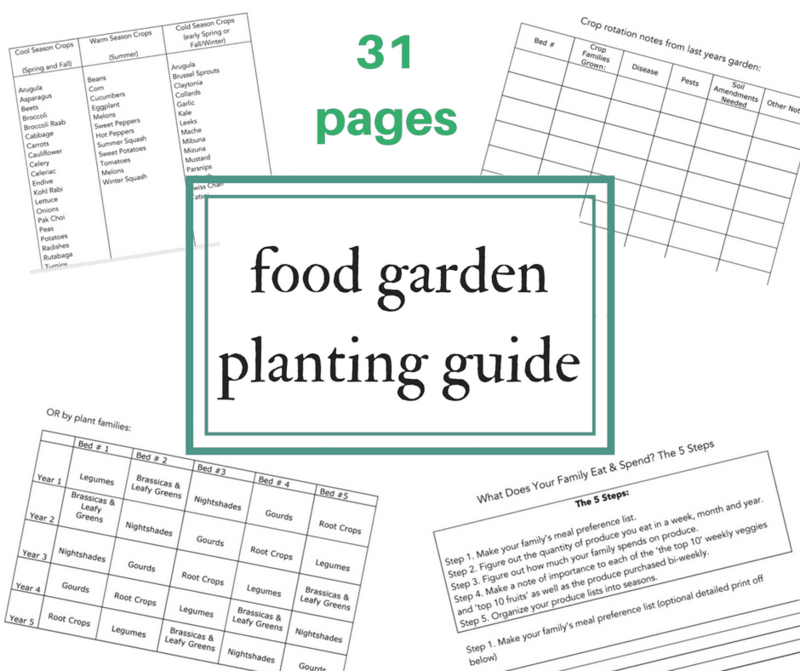 This guide will help you plan your garden, set goals, design and plant your best food garden. What will you learn in the ebook? The basics of garden design. Factors in deciding what to grow. Figure out what your family eats and spends on produce. How to maximize your food production with 20 methods. Grow the most profitable crops to really dent your grocery bill. How to design your garden & offset the costs on new garden beds. The basics of succession sowing for increased productivity. How to select your seeds and when to sow your crops. Creating an awesome sowing and transplanting schedule. 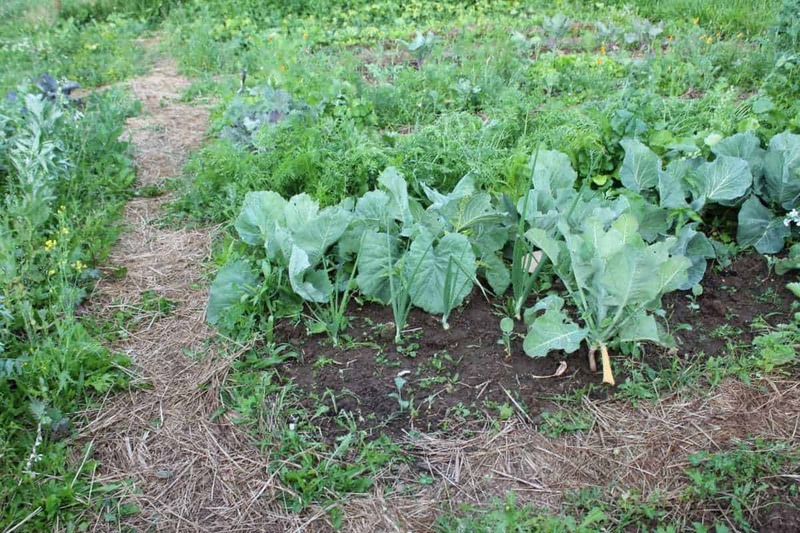 How to practice crop rotation for healthier soil. 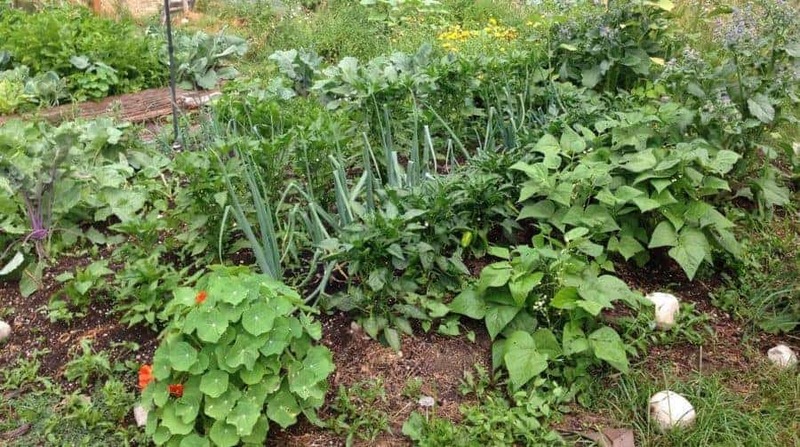 Advanced crop rotation: when you practice intensive or companion planting. Creating a back up plan with crop failures. Learn how you can expand your garden and knowledge over the years. How to write a garden journal. It’s not free as in “FREE”! I was expecting, with the tone of your mail, a free printable like the compost one, now… That’s FREE. Please emphasis should be on the Buy-One-Get-One-Free in the title and in the email advertising. This way, people already know what to expect. This type of advertising puts a lot of people off. Thanks. Sorry Titilayo, it’s honestly next to impossible to get someones attention online these days. As this is my work and income I was trying a different tactic. I do agree with you though.